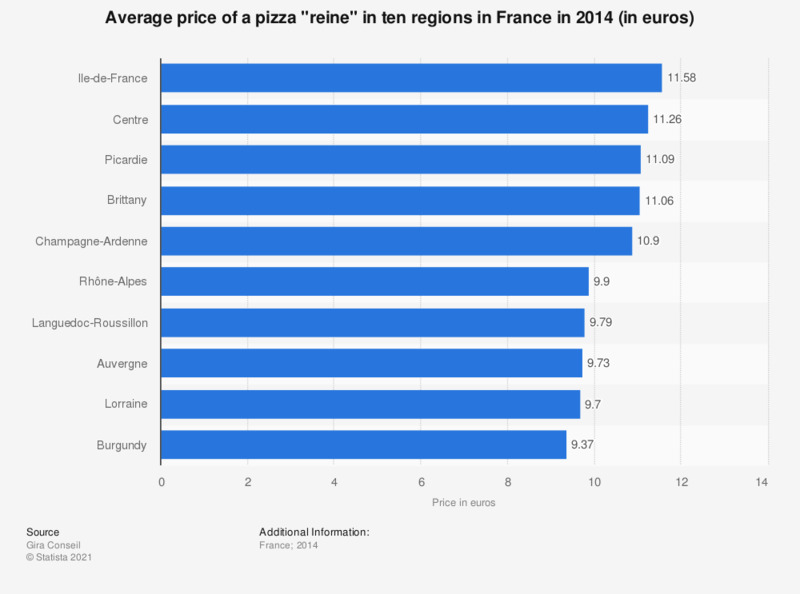 This statistic shows the price of a pizza "reine" in 2014 in ten regions of France. We can see that a pizza "reine" (cheese, mushrooms, ham) cost almost 9.40 euros in Burgundy against nearly 12 euros in Île-de-France. The study was published on the occasion of Parizza Salon . Which of the following types of alcoholic beverages, if any, are you most likely to drink with pizza?